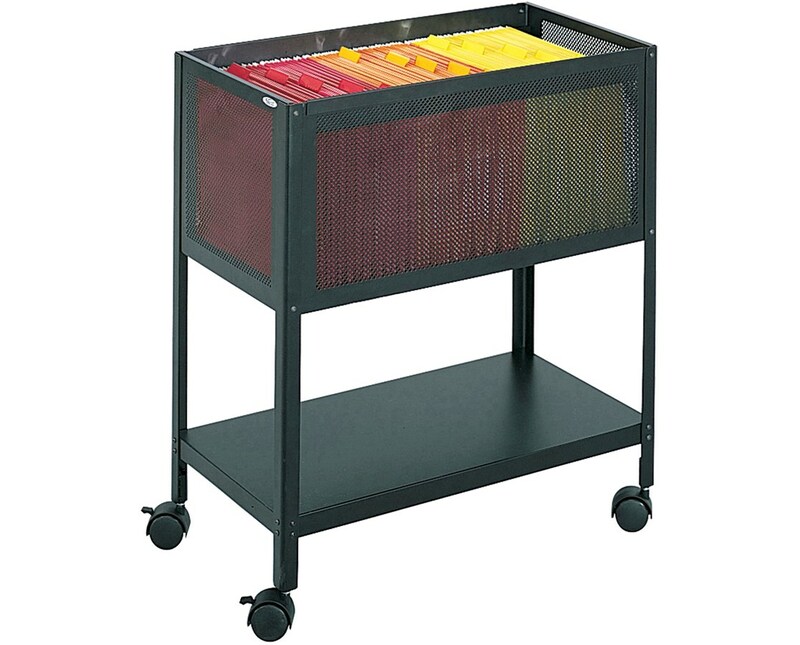 The Safco Mesh Tub Files is a mobile storage unit for documents with a mesh design and a sturdy build. 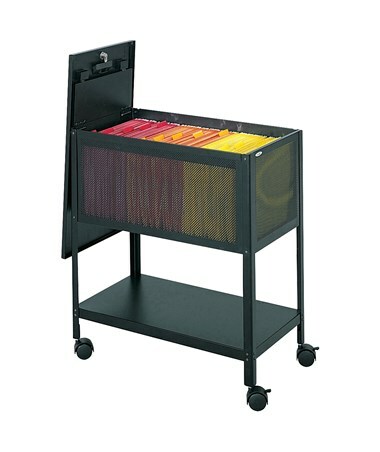 It features a 24-inch wide and 13.5-inch deep compartment that can hold letter-size folders and a total weight of 200 pounds. It also has a 12-inch wide lower shelf which can be used as an additional storage space. This tub file is mobile on four two-inch dual wheel casters and two of these casters can be locked. 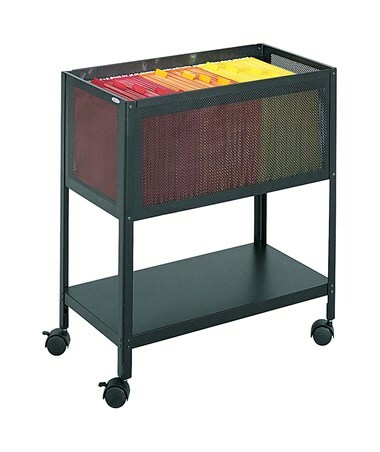 This cart is made of steel with steel mesh sides and a durable powder coat finish. It is safe for indoor use and does not emit harmful chemicals as certified by GREENGUARD. The Safco Mesh Tub Files is available in two types. Please select your preference from the drop-down menu above.